The bride and groom requested a fun and brightly colored invitation set that would set the tone for their joyful wedding day. The cards feature a hand-drawn circle design and hand-lettering. 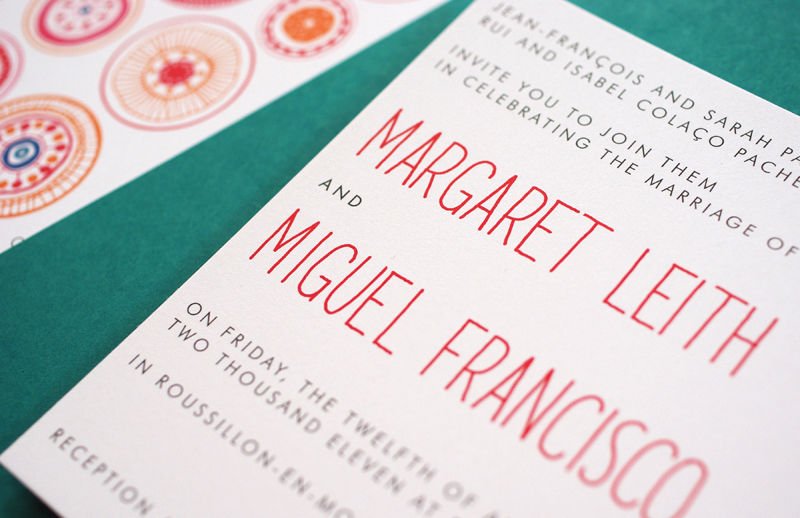 The bi-lingual invitations use a blue motif on the French side and a red motif on the other, with dashes of yellow and orange.